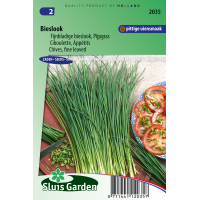 Long before the start of the Common Era man used chives. The leaves are rolled up and hollow. 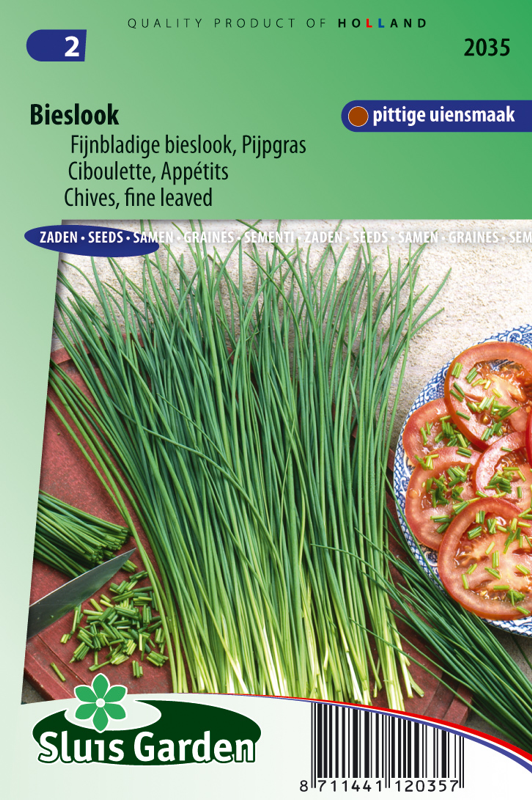 The leaves, as well as the flowers, are very popular in various dishes thanks to their onion taste. Best used fresh. Sow in the garden in rows. As soon as they can be handled, transplant to final spot. Excellent also in pots. Plant in limy, well fertilized, moist soil. Can grow in both shaded and sunny areas.